We have succeeded to engrave the strong roots in the India and other countries as the reliable manufacturer of the Y strainer for water steam, as our gamut of the Y strainer has demonstrated its competency by performing unfailingly under the high pressure and high temperature surroundings. 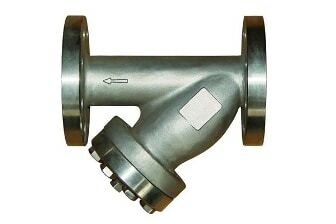 This Y strainer for water steam is made from the stainless steel and carbon steel material to proffer the unmatched withstand capability against the high temperature and pressure, is common in the stream processing. All the parts of this Y strainer are quality tested meets the outlined quality standard to the utmost, makes it the reliable way to filter the contaminants from the steam flow. The flanges as per the ASME, DIN, BS standard is available to match your wants to the best and prevents the big losses due to plug up.